A welcome back to all our adventurous members who have just returned from the South America Festival at Sea and who all had a wonderful trip, although with a mixture of good and bad times. 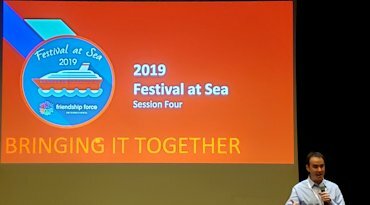 FFI did a wonderful job of organizing activities and events for all the Friendship Force members and by the end of the cruise thousands of passengers were introduced to Friendship Force. Unfortunately, as the ship headed south, it met the fury of the Atlantic Ocean causing much distress to all the passengers. As you may already know, the FF Denver group had to cancel their trip here in May, due to low participation. In October we have been invited to Cedar Rapids, which should be fun and for which we’re seeking a Journey Coordinator (great experience for someone new to this job). In 2020, FFI has assigned us an inbound Journey from Taiwan for our International match. We, unfortunately, were not allocated an outbound but now are on the waitlist for Mexico or Canada. May I suggest that for members who wish to travel to places to which our club is not going, the e-flyer that FFI publishes is a great resource for upcoming Journeys. You can apply to join another club which needs help to fill a journey. I had a wonderful time joining the Oklahoma club to Somerset, England in 2016 and in June plan to join Harrisburg club to Olympia. In the February e-flyer there are 3 trips to different parts of Germany, where there are spaces available. Just an idea. Celebrate Friendship Day and the 25th Anniversary of Friendship Force Dallas! Cost: Free. Bring lunch dishes to share. Drinks provided by the club. The incoming Journey from Denver, the programme for April, was cancelled so, at short notice, Paula organised an informal get together at Nazca Kitchen for this month. This will be a great chance to visit with other FFD members. Cost: Order and pay at the restaurant from the standard menu. Reservations: RSVP to Paula at paularose200@hotmail.com by Monday, April 8th so she can give the restaurant the number of attendees. Gerry Arens gave an interesting presentation on FFD's Outbound Journey to Israel in October 2019. The Dallas coordinators were Michael Wald and Haiya Naftali who led the group of 21 to visit our hosts, based mostly in Netanya, Israel - a resort town just north of Tel Aviv on the Mediterranean. 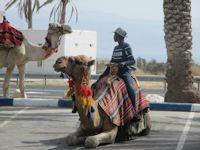 Ambassadors were treated to meeting new friends, most of whom had immigrated to Israel from all over the world, and seeing many historical and natural sights that we would miss on a normal tour. 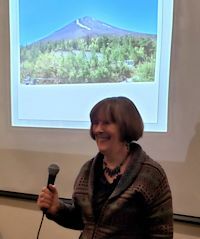 For the February meeting, Lou Ann King treated us to a talk and presentation about the intergenerational trip she and her grandson took to Japan last summer. It was attended by high school students and their companions (parent, grandparent, other relative) from all over the world. It was such a success, that there’s to be a similar trip this coming June. Our 2020 International Journey matching results are here! 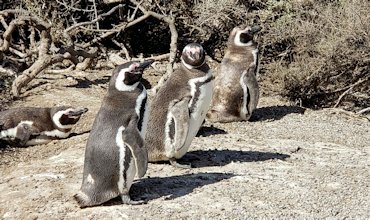 Our international Journeys for 2019 are now set and the outbound to Cape of Good Hope, South Africa departs on March 21st. Our proposed inbound for this year was cancelled by the other party. 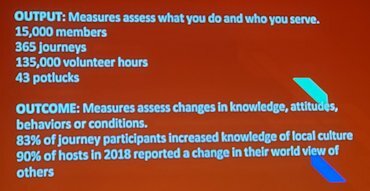 In the past Friendship Force International has offered us unplanned inbounds from visiting groups that want to extend, but we have no idea if that might happen. Our international journey for 2020 has now been received and we will be hosting Kaohsiung, Taiwan in June of that year. They will also be going also to Cedar Rapids, Iowa and to Salvador-Bahia and Forteleza, Brazil. A busy trip for them! We will be seeking a Journey Coordinator for this inbound visit so, should you be interested in applying or have questions, feel free to contact me at enstam@sbcglobal.net. The coordinator of the inbound receives a $300 credit that can be applied against the cost of an outbound journey by the Dallas Club during the two year period following the end of the Journey coordinated. We were not assigned any outbound journey for 2020. In the past we have been active in arranging our own exchanges/journeys with other clubs, which we sent to Friendship Force International. They were more than happy to accept our efforts and help and we were able to keep a full calendar. Starting in 2020 there is a new policy that they won’t honor journeys agreed between clubs except for return visits from a prior journey. We requested a journey to northern Europe since we have not been there for many years, but it is a very popular destination and they weren’t able to honor it. We are on the wait list for possible outbound Journeys to Canada or Mexico. 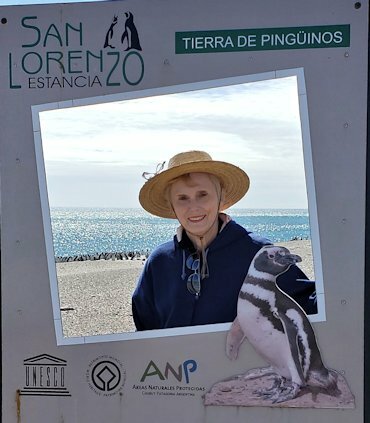 Seven Dallas members completed this 15-Day South American Passage from Argentina to Chile aboard the Holland-American ship Zandaam February 21 to March 8, 2019. The cruise was the third one sponsored by FFI, and had about 150 Friendship Force worldwide member participate. Julia has made some comments in her letter above and here are some photos from Mary Williams. An Inbound Journey with Denver was planned for May, but was undersubscribed and canceled. Mini (4 night) Inbound to Dallas starting July 19th prior to the International Conference in Boulder, CO.
It’s customary for Friendship Force International to offer pre and post homestays along with the International Conference and Dallas is offering one of these. As you read in Julia’s letter at the start of this newsletter, we have two applicants for this homestay. 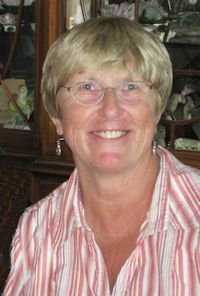 Pat Andeweg has been appointed Host Coordinator for this event. Pleae contact her to host or volunteer for this short stay at patandeweg@gmail.com. We have been invited to participate in an Outbound Journey to Cedar Rapids, Iowa October 2– 8th, 2019. Grant Wood, regional artist of American Gothic, had his studio here. A must see is the Paramount, refurbished after 2008 flood devastation. The Mississippi River at Dubuque is worth the short drive. Baseball fans, Field of Dreams is nearby. or Julia Cooper at acjc1804@hotmail.com by Friday, April 5th. The Board will appoint a Journey Coordinator at the April Board meeting. They are also listed on our Other Clubs page. If you are interested in any of these journeys, contact the Coordinator ASAP. The decision for a journey to go or to cancel occurs at least 90 days preceding a scheduled date. Notice of remaining seats can be out of date as journeys fill and there are cancellations. Contact the coordinator concerned for the most current information. The next Board meeting will be Monday, March 18th at 1:30 pm at Julia Cooper’s house. All members are welcome to attend. Remember - you can order your own FFD business cards from Mary Williams. Give them to people who ask about Friendship Force. This service is free. However, remember Facebook rules: Anyone may post comments or photos on our page, but only posts about FF are acceptable. The club can get in trouble with the IRS for posts that advertise or endorse commercial products or businesses, so please do not do that. Jim Bourn has been hospitalized for surgery on his toes. If you know of anyone who needs anything from Sunshine, please give me a call: sometimes I don’t hear of a need until they are well. Thanks. Join the FF photo club to practice you photography skills, share photos will FF members everywhere and get ideas of subject to practice on. 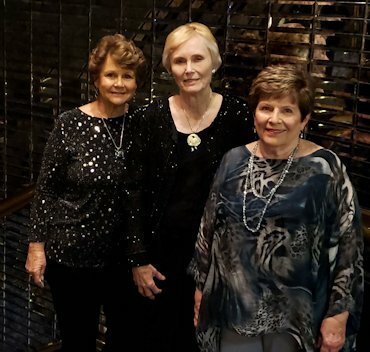 Dallas members are Mary Latham, Mary Williams and Al Currie. Please contact Roz Worrall, FFI Photo CC Coordinator at ffiphotocc@gmail.com and copy our members, if you’re interested in jparticipating. 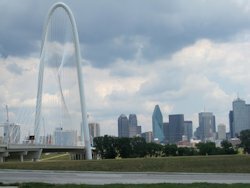 The shuttle service is available to any FF of Dallas member who needs transportation from their home to either airport or from the airport to your home. You can also use this service to destinations other than airports. After your ride, you make a donation to FF of Dallas. If you need a ride, send an email to ffDallas-shuttle@googleGroups.com and all club members who are shuttle drivers will receive your request. If you would like to be a shuttle driver, contact edward perez and he'll add you to the list. Take this opportunity to help out your club while meeting and learning about your fellow club members. You are not obligated to handle every request, but please do what you can. If you would like to manage the shuttle driver list, contact edward perez and he'll help you learn how to manage the list. It's very easy - you just need access to email and the internet. Welcome to spring and the start of the 26TH YEAR of Friendship Force of Dallas!!! Let's keep Exploring and Discovering Common Ground!!! THANKS TO ALL OF YOU WHO HAVE INVITED YOUR FRIENDS TO MEETINGS AND EVENTS. Word of mouth is one of our best ways to attract new members!! If you know of a group or organization to which we can present info about Friendship Force of Dallas, please let me know. With a few new members, our club now has 75 members - 70 members, 3 emeritus, and 2 associates. Three members joined in January. Please extend a hand and welcome them to our club! Remember - if you move or change your contact information (phone number, email address(es) or need a replacement badge $14, $10.50 if you pick it up in Richardson), let me know via email to erperez54@gmail.com. I'll update the records and let others know (telephone tree, email list manager, etc). Doris Rodriguez (who joined our club in 2017) leads our telephone tree - she and her team contact members prior to monthly events. If you haven't been receiving calls, contact me so I can make sure you are on the calling list. Also, if you know a member who has not be attending recently, please give them a call and invite them, perhaps offering to carpool with them. Your yearbook has members sorted by zip code (pages 23-25). If you have an idea for a friendship gathering (food tasting, arts event, festival, etc. ), please let me now (see contact info below). On Sat Mar 9, 16 members met for a small group lunch gathering at Islamorada Fish Company on the west side of Lake Ray Hubbard. 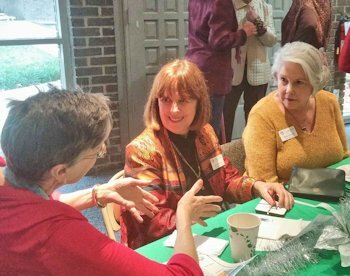 THANKS to Doris Rodriguez for making arrangements and other East Dallas members (Kathy Jacobs, Gerda Kreyer, Patty Neimeyer) for co-hosting. We met the Madrigals, created and extended friendships, and enjoyed a great meal. Gerda even taught us a few German phrases. We hold these casual events (either at lunch or dinner time and either on weekdays or weekends) to allow you time to meet with other club members and share stories about our lives and journeys. If you know of a restaurant than can accommodate 10-20 in a separate space or would like to coordinate these events, please let me know at the email address above. THANKS to Anne Neal for hosting a wine tasting in January. We'll host several of these throughout 2019. If you're interested, you signup, pay the host a fee to purchase the wines, and bring an appetizer or snack to share. Then, we meet, enjoy the wine and visit with our friends. You can invite non-members, but the host will have discretion as to how many can attend. If you would like to host a "Wine Tastings with Friends" or would like to coordinate these events, please let edward perez know at the email address above. Remember to attend our programs, events and journeys. Invite your family and friends to attend an upcoming monthly meeting, an event or an inbound or outbound journey. Just forward our meeting announcements and/or newsletters. Need information about Friendship Force International (FFI)? If you have any questions, please contact finance@friendshipforce.org.